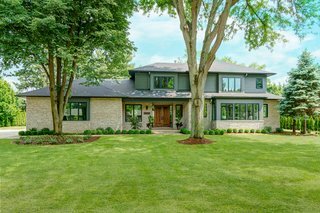 New construction Mid Century in Upper Arlington, Ohio designed by Paul + Jo Studio. A home that brings the outside in, incorporating luxury finishes with modern mid century design. Under the guidance of Paul + Jo Studios, every detail brings thoughtful consideration to each space. uploaded The Dorchester Project by Paul + Jo Studio through Add A Home.